Once your captured motion is ready to go, it may be converted to a V-file. In the Vicon iQ Pipeline tab under the Post Processing section, add the operation to export a V-file and run it, with the option to export local data set (global data is generally not necessary). Find the V-file on the hard drive, and get it on a computer with Maya. Maya cannot natively read a V-file, but Vicon Peak has a plug-in for importing V-file data to Maya locators. It used to be available on their website, but now you have to contact them directly to get the plug-in. In Maya, load the plug-in with Window > Settings/Preferences > Plug-in Manager. Then from File > Import, open the V-file. Several coordinate axes will appear in the workspace, these represent the joint translations and rotations. To hide these, uncheck Show > Locators in the panel menu. Now you need to create a skeleton that matches that from the V-file. Once this is done, the translation and rotation outputs of the local transformations need to be connected to the inputs of their corresponding joints. You will find that the skeleton is not properly oriented, and is much larger than you probably want. To handle this, create a group for the skeleton, set the group's rotate X to -90 and all scales to something in the neighborhood of 0.01 to 0.1. Thanks to Patrick Coleman for his assistance here. Usually, you probably want to just use the joint angles and throw out the translations due to markers slipping and such (other than the pelvis). To do so, you first need to set the skeleton to match the first frame, then connect only the rotations. This is all pretty tedious, so I've created MEL scripts to do it for you. 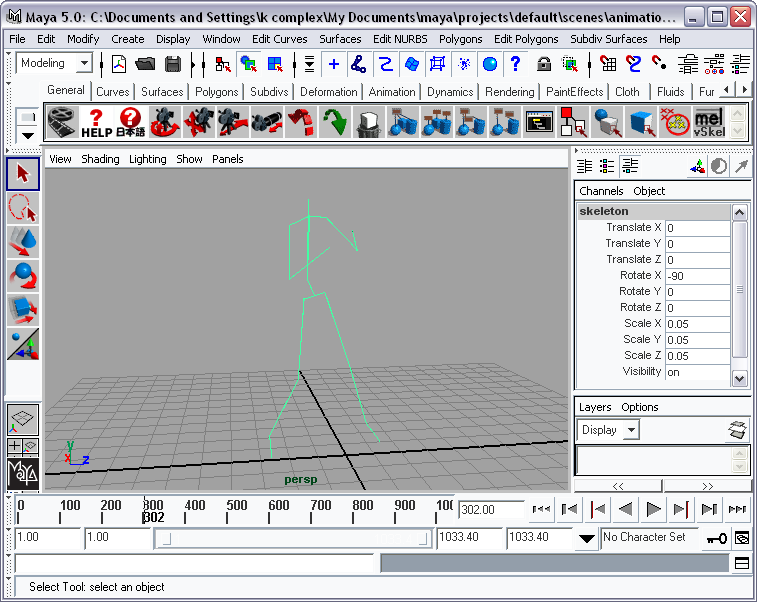 All you need to do is import the V-file first, and the script will set up a skeleton and connect it to the mocap transformations. Use either of the scripts below, depending on whether you want to use the local transformations or not. Note, this script assumes some names for nodes are not used (such as pelvis, thorax, head, and so on), so if there are any parts of your scene with a name in the MEL script, it will not work correctly. 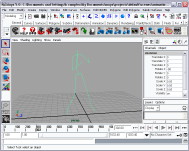 Many tools to help with motion capture, especially with Maya, are available at Mocap.ca.